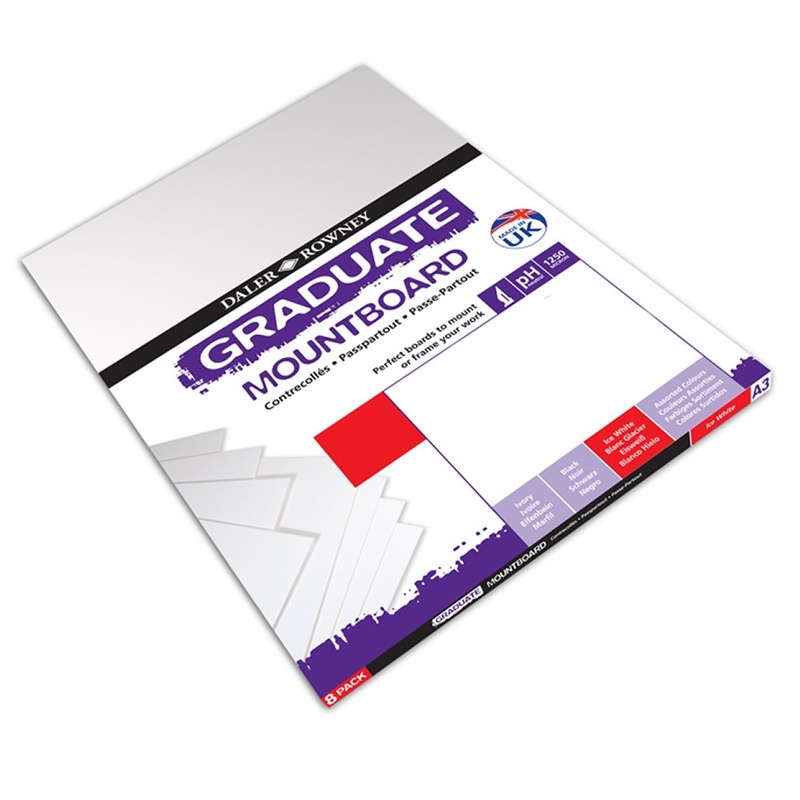 An economy mount board ideal for school or college work. Size A2 with a thickness of 1250 microns. Each board is PH Neutral and has a Cream Core. Please note: We do our absolute best to ensure that all Mount board is packaged well for transit but because this is a fragile product slight damage may occur on edges and corners upon delivery. Showing 2 Daler Rowney A2 Graduate Mount Board Ice White [Pack of 5] reviews. Average rating of Excellent. Would you like to write a review? Very useful pack of good quality mount board. I cut the sheets into smaller sizes to use with crackle paste and acrylic paint for a textured look. But I'm sure it's also great for actual mounting!